Lock in a great price for Crowne Plaza Istanbul - Old City – rated 8.1 by recent guests! Location and size of the room. The bathroom was clean and everything was close. 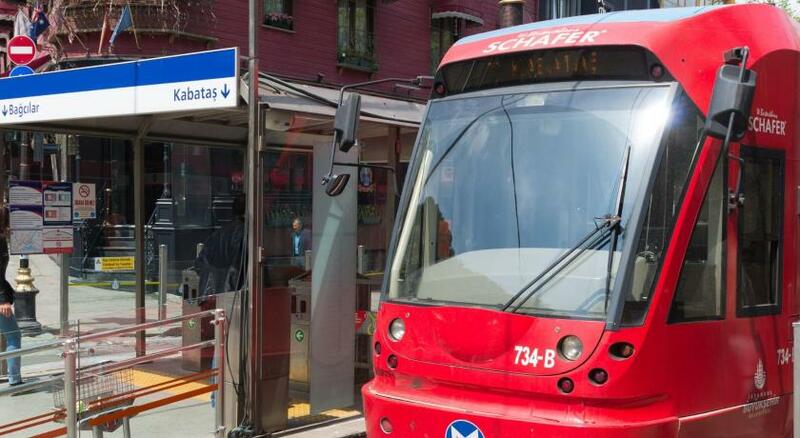 the metro and tram was at 5 min walk. People in the hotel were friendly and helping when needed. The hospitality was great. I am a regular customer to Crowne Plaza. The staff are very kind. Mr. Okan at the check in, Mrs. Sebahat - the guest relationship manager, Mr. Maher, and many others were very professional and amazingly kind. Its amazing hotel ,i enjoyed staying there, clean,safe,near to all places, staff was very polit, friendly,helpful especially Mr.waled alragab, Mr.abdulrahman, reception staff, housekeeping, hotel taxi.thanks alot my lovely place . 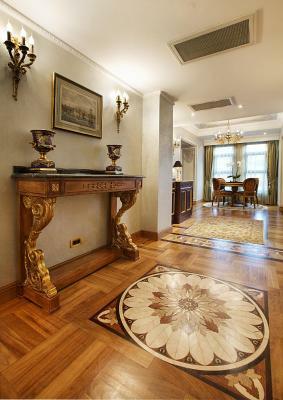 If you want to be comfortable for your stay in Istanbul and be pleased with the service-you can stay in this hotel. the security and convenience of this hotel are THANKS TO mr.ZAMAN''team. welcome-help for my car-help for luggage-find taxi-quick check-in and check-out-absolutely profession Servis -Bellteam Mr.Zaman,Mr.Sercan,Mr.Oguzhan-Thank u .
Crowne Plaza Istanbul - Old City This rating is a reflection of how the property compares to the industry standard when it comes to price, facilities and services available. It's based on a self-evaluation by the property. Use this rating to help choose your stay! This luxurious hotel in Istanbul is 1,300 feet from the Grand Bazaar. 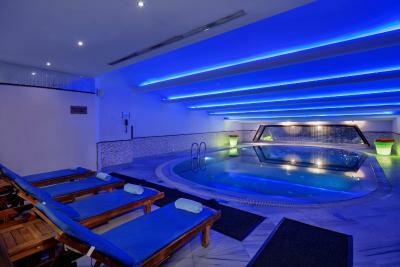 It has a spa, an indoor pool and a gym. Free private parking is available. You can access free WiFi throughout the property. The elegant rooms at the 5-star Crowne Plaza Istanbul - Old City have satellite TV, a tea/coffee maker and a private bathroom with luxurious toiletries. Some rooms have a flat-screen TV and a spacious seating area. 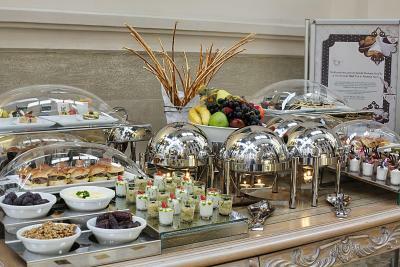 The Lale Restaurant serves a rich buffet breakfast in the mornings. 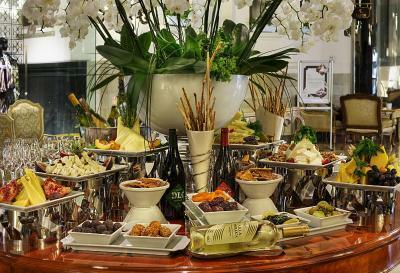 A gourmet menu of international cuisine is served in the evenings. Guests of the Crowne Plaza Istanbul - Old City can enjoy a range of beauty treatments at the spa, or work out with cardiovascular equipment at the gym. 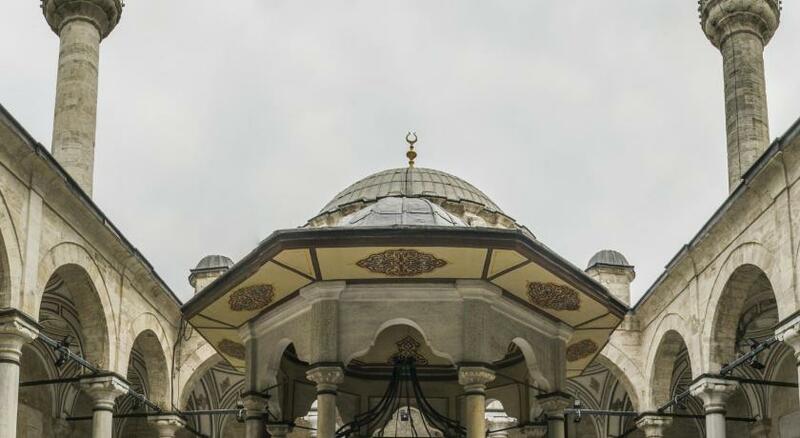 The Hagia Sophia and the Sirkeci Train Station are located 1.9 mi from the Crowne Plaza Istanbul - Old City. Ataturk Airport is 11 mi from the premises, and airport transfer services can be offered upon request at an additional charge. Istanbul Airport is 33 mi away. When would you like to stay at Crowne Plaza Istanbul - Old City? This suite features a bathrobe, flat-screen TV and air conditioning. This suite has air conditioning, electric kettle and bathrobe. 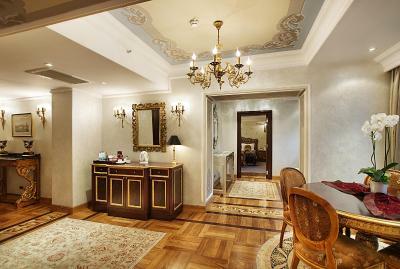 House Rules Crowne Plaza Istanbul - Old City takes special requests – add in the next step! Crowne Plaza Istanbul - Old City accepts these cards and reserves the right to temporarily hold an amount prior to arrival. If you prefer a menu except Indian dinner, you can choose from à la carte menu at an extra charge. Guests are kindly requested to show the credit card used for reservation upon check-in. Crowne Plaza Istanbul - Old City offers airport shuttle service at an extra fee. Please contact the property at least one day before check in. A deposit of EUR 100 is required daily and for each room upon arrival, for any extra charges. In case of early check out request for flexible reservation, guest may inform the hotel minimum one day ago. Otherwise, hotel will charge to early check out day cost as a fee. One of the receptionists was quite forward, as a female solo traveler, it’s never a pleasant experience. Other than that all the other staff were lovely! Super comfy bed!! Clean and lovely hotel. Some wallpaper coming off walls but other than that I can’t fault it! Breakfast was not up to the expectation. There was little variety and the place was too crowded. Some of the food finished and took too much time to fill up again. Could have been done in a better way. First couple of days we had a repeated disturbance by the hotel technicians without informing us , also some hotel attendants were trying to get in our room without knocking!! Also we had problems with the water as it was not hot. Excellent location. Next to Laleli mosque and and 10mins walk to Grand Bazaar. Room given was completely different, and worst, than the one I booked, including bed configuration. Only finally settled in the 3rd room after vocally refusing the room and entering other unacceptable rooms infested with tabaco smell. Having a Platinum IHG card was useless and not honored. Throughout the stay, staff attitude was not becoming of the chain. Traffic outside hotel was chaotic otherwise all ok. Location was very convenient. Facilities were good. Staff were helpful. The location was perfect! Next to the tram line. 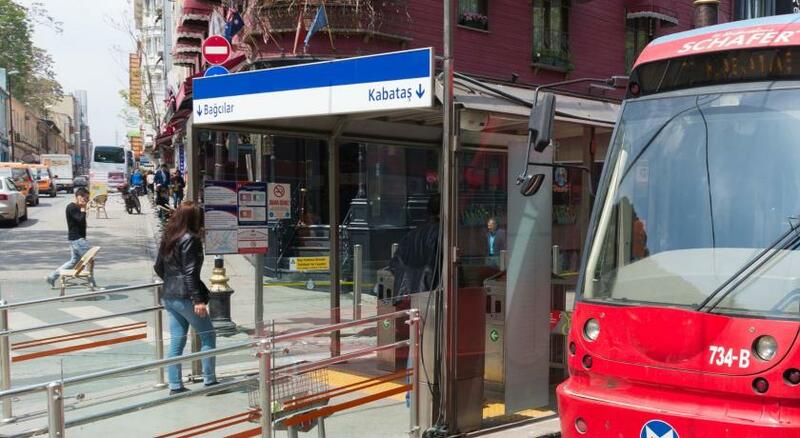 2 stops away from grand Bazar and 3 stops from the spice Bazar! Wales from the concierge desk was really helpful sorting our transportation whenever we needed. Location. Comfortable bed. Quiet at night. Friendly staff. Cleanliness.